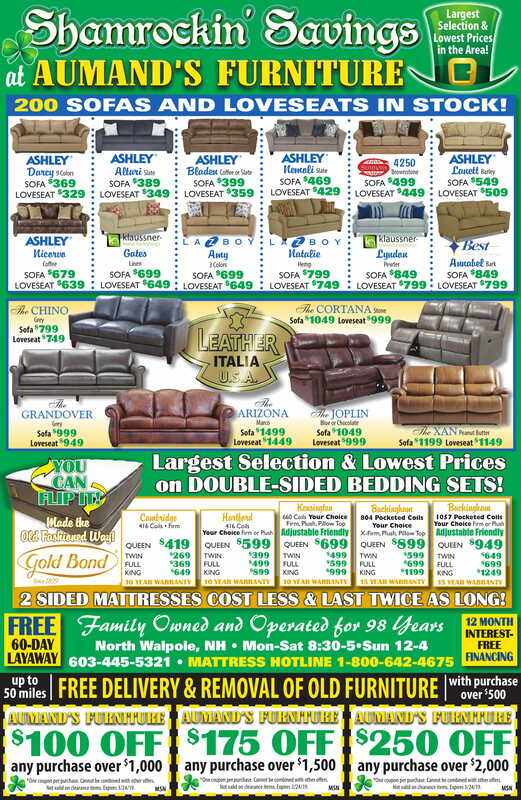 Aumand’s Furniture offers a wide variety of discount furniture for sale in Walpole. 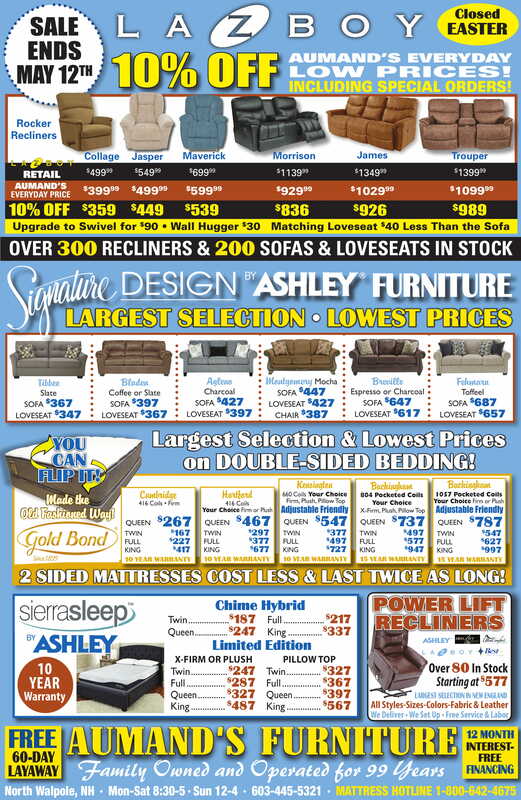 Browse our specials below to find out more and stop by today to shop our great deals! January Clearance Sale: Over 100 items 50% Off! Don’t Miss Out On These Ho Ho Holiday Deals! You don’t want to miss these amazing Holiday Deals! Find your gift at Aumand’s Furniture this Holiday Season. 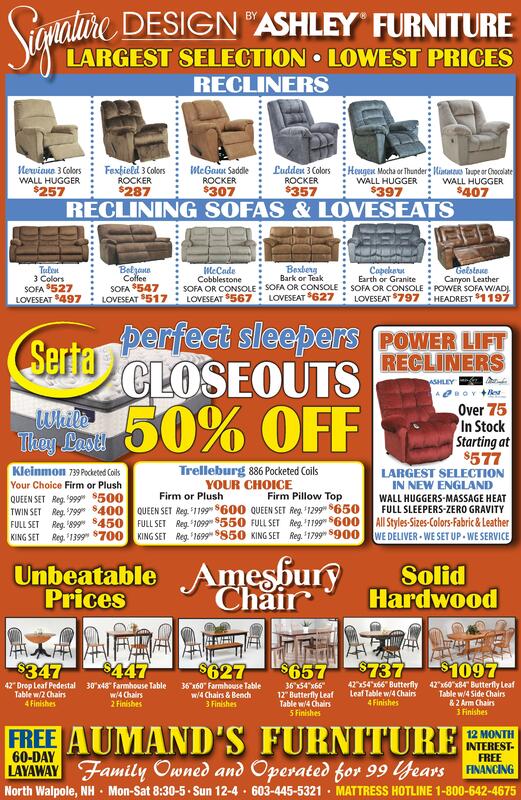 From recliners to mattresses, we offer the best brands at an ideal and affordable price. 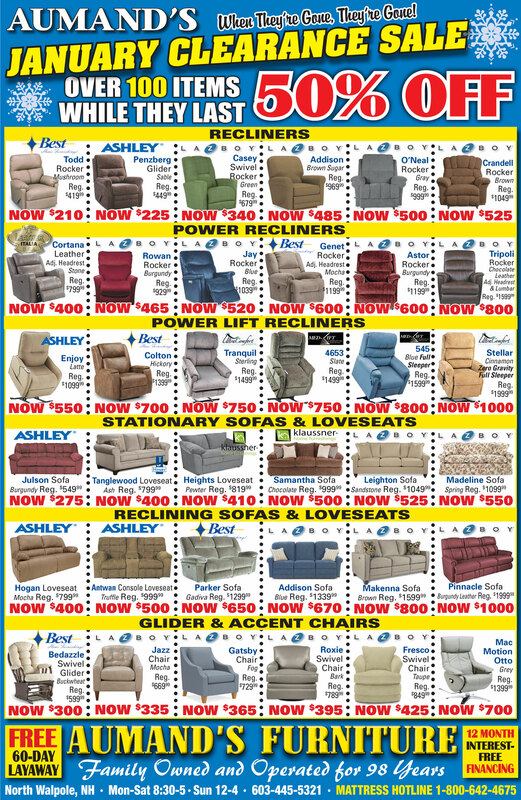 Recliners, Gold Bond Mattresses, Sofas, and Loveseats are all on sale until Monday, December 24th. 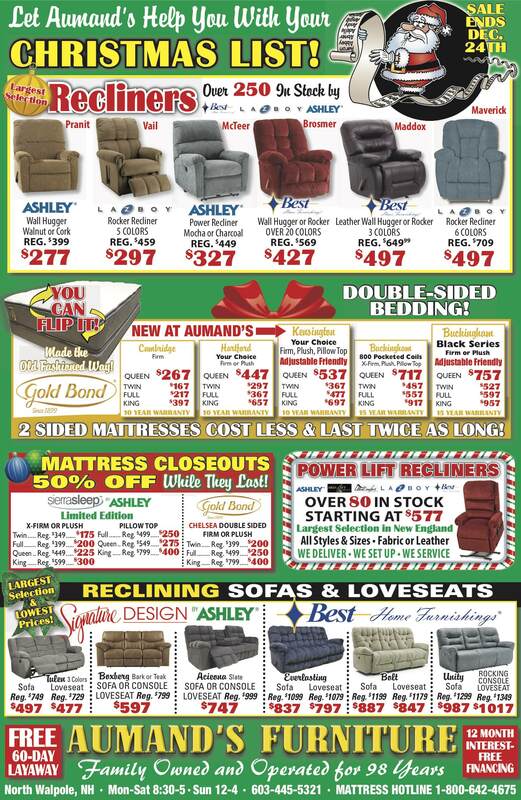 Visit Aumand’s Furniture Store or contact us today for more information and Happy Holidays to you and your families!